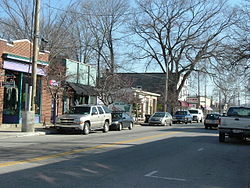 The Clifton neighborhood is found east of downtown Louisville. Named for its hilly location on the Ohio River valley escarpment, Clifton was established over a period of 60 years with the first homes being built in the 1860s, followed by another round of construction in the 1920s. Most Clifton homes are Victorian-style architecture. This area began to revitalize when restaurants, boutiques and antique shops starting opening up on Frankfort Avenue. The Clifton area has much to offer in the way of historic homes, shops, boutiques and restaurants. You'll find the latest Clifton real estate listings below. To start your Clifton home search, just use the property search box above. You'll immediately begin receiving notifications when homes that meet your criteria hit the market. You'll also be alerted to price changes for homes you've already seen. Searching for a home with specific features? Just use our Advanced Search option to find exactly what you're looking for.